To help give us a shochu education we’ve brought in a special guest, Yukari Sakamoto, who is, among other things, a certified shochu advisor. But before we dive in, let’s begin with some shochu basics. Want to learn more? Check out The Shochu Handbook: An Introduction to Japan’s Indigenous Distilled Drink . Many non-Japanese have never heard of shochu, so let’s start with the very basics. Shochu is a distilled liquor and very popular in Japan. In fact, despite sake’s popularity outside of Japan, in Japan shochu is the more consumed beverage. While shochu is occasionally referred to as “Japanese vodka,” not only is this misleading, it also doesn’t do shochu justice. 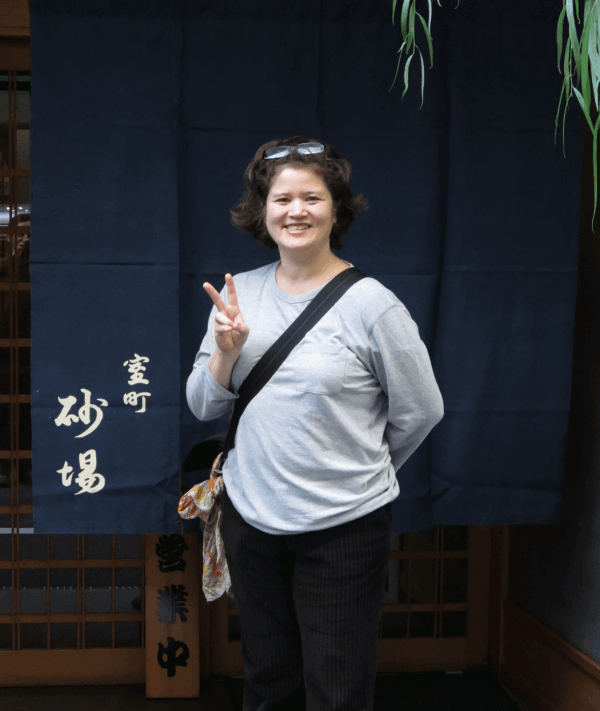 For more shochu insights – and to hear how she went from being a sommelier to becoming a shochu devotee (and official shochu advisor) – we turn to our special guest, Yukari Sakamoto. We’re thrilled to welcome our special guest, Yukari Sakamoto. Yukari is a graduate of the French Culinary Institute and is a sommelier as well as a shochu advisor. Her book, Food Sake Tokyo, is the only food guide to Tokyo that is authored by a chef. She worked as a sommelier at the Park Hyatt Tokyo’s New York Grill and at Nihonbashi Takashimaya. Her guided market visits include destinations like Tsukiji Market, depachika and Nihonbashi. How did you first get into shochu? I was working as a sommelier, selling wine at Takashimaya’s flagship store in Nihonbashi. Takashimaya paid for the staff in the sake department to train in a spirit that they were not already specialized in. Originally they had asked me to study sake, but John Gauntner already had sake covered and was doing great things with it. I thought it would be more interesting to be the first English speaker to study shochu. As I was working at Takashimaya I had come to like shochu, but really wanted to advance that knowledge so that I could confidently sell it and talk to consumers about why they should be drinking it. In your opinion, what is the most misunderstood thing about shochu? It is often thought of as “Japanese vodka”. Vodka and most distilled spirits are at about 35 to 45 percent alcohol. But most shochu is only 25 percent alcohol. Of course, not all shochu is this low, some do come in at 35 to 45 percent, but it is a small proportion. Shochu is often consumed mixed with cold or hot water, so then the percentage usually goes down to about 12-15 percent alcohol – similar to a glass of wine. What is most important [and distinct from vodka] is that good quality shochu – honkaku shochu – is single distilled, so it retains the characters of the base ingredient. A sweet potato shochu is very different from a rice shochu. Where is the best place in Japan to enjoy shochu? 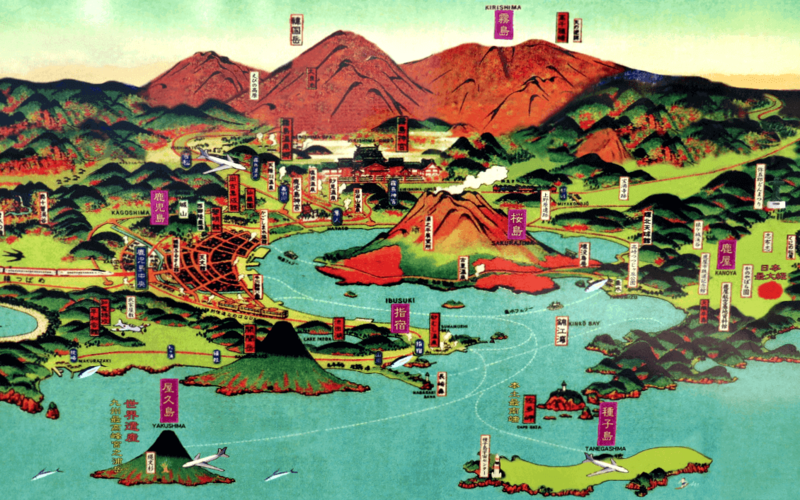 Kyushu is the best place, as shochu is so prevalent on the southern island of Japan. Kyushu cuisine also pairs beautifully with the local shochu. Satsuma-age fish cakes from Kagoshima with sweet potato shochu, or basashi (horse sashimi) with rice shochu in Kumamoto, are two things that immediately jump to mind. What’s your favorite shochu right now? There is a very cool sake and shochu shop near Shinbashi station called Oboro Saketen. The owner, Jun Okuma-san, studied at University in Minnesota and speaks English. It is a great shop for sake and shochu, as he has a very nice selection of popular brands that are hard to get your hands on. I have been lately drinking a white sweet potato shochu, Yamaneko from Miyazaki, that is aged for two years. It is smooth and pairs with a variety of food, including sashimi, which we eat a lot of at home. 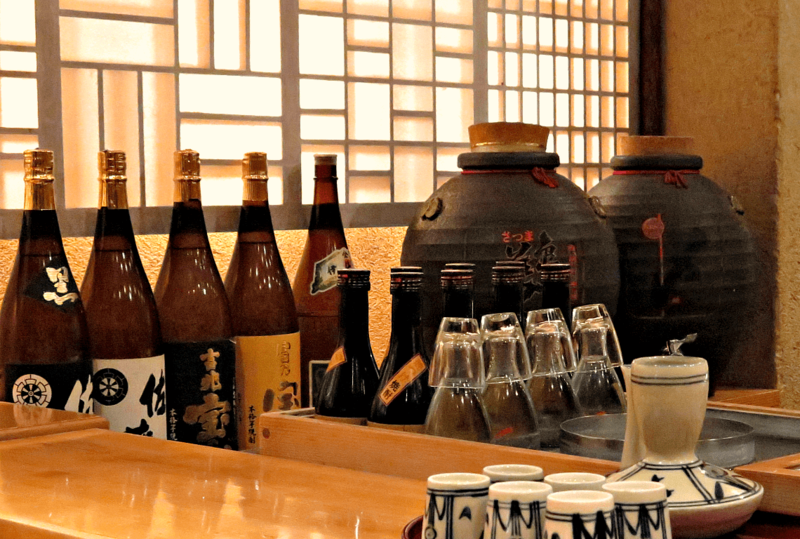 What should a person look for when buying shochu – and how difficult is it to find shochu outside of major metro areas that have Japanese/Asian markets? Look for honkaku shochu [top-quality shochu]. Try a few different types at a restaurant before picking up a bottle to drink at home. I don’t know about Europe, but it is possible to find shochu in New York City and in other big cities in the USA. How do you prefer your shochu? I prefer my shochu on the rocks. It is an acquired taste and it took me a while to come around to it. I also had the wrong impression that it was high in alcohol and gave terrible hangovers. Even when I started drinking it I was working as a sommelier so at the time was drinking more wine as it was part of my work. Now I drink more shochu than wine. Thank you, Yukari-san, for sharing your shochu insights! The next step is to try shochu for yourself! If you’re outside of Japan, your first task will be obtaining a bottle. 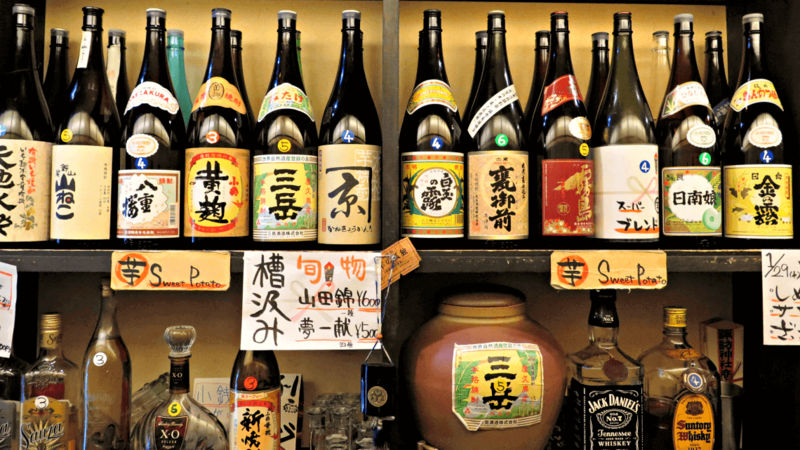 You can find honkaku shochu (top-quality shochu) at Japanese markets and most Asian markets. As Yukari-san mentioned above, if you want to drink the best-quality shochu make sure it’s honkaku shochu. Honkaku shochu (“authentic” or “genuine” shochu) is single distilled, in the traditional fashion. You’ll also see multiply-distilled shochu, which is primarily used in cocktails (like chu-hai) because of its clear color and lack of strong aroma or flavor, but we definitely honkaku shochu for the quintessential shochu experience. As Yukari-san pointed out, honkaku shochu is single distilled, and retains the characters of the base ingredient. And drinking it on the rocks (rokku de, in Japanese) is a great way to acquaint yourself with its delicious flavors and aromas. Though it’s an acquired taste for some, drinking it on the rocks allows you to really taste these differences. Mixing it with cold or hot water is another great option. Especially in winter, there’s nothing more heartwarming than an oyuwari (shochu with hot water). To obtain the best flavor, pour the hot water first and add the shochu last. Hopefully you’re ready to go out and try some shochu! A special thanks once more to Yukari-san, for sharing your shochu knowledge with us. Once again, you can connect with Yukari Sakamoto at Food Sake Tokyo and on Twitter (@YukariSakamoto).